Highland County placed in the bottom 10 percent of Ohio counties as one of the most unhealthy places to live, and Highland County Health Commissioner Jared Warner said the nationwide survey mirrors a local health assessment survey that will be issued from his office in the next few weeks. The nationwide survey, released by the Robert Wood Johnson Foundation and the University of Wisconsin Population Health Institute, encompassed a wide variety of subjects and placed Delaware County as the healthiest place to live in Ohio and Adams County as the least healthy county in the state. Highland County ranked No. 79 among Ohio’s 88 counties. According to the study’s 2019 rankings, the five healthiest Ohio counties were Delaware, Putnam, Geauga, Medina and Holmes. The five counties with the poorest health, starting with the least healthy, were Adams, Pike, Gallia, Meigs and Scioto. As for other counties in the region, only Clinton came close to the middle of the pack with a ranking of 57th, while the study ranked Fayette County at 71st and Brown County at 73rd. ● Length of Life, where the county placed 70th overall with an average life expectancy of 74.8 years. ● Quality of Life, where the county had higher incidents of poor physical and mental health, and low birthweight in newborns. Highland County ranked 74th. ● Health Behaviors was one of the two bright spots in the report with a ranking of 52nd, and even though the county was below state averages concerning alcohol-impaired driving deaths and physical inactivity, it was above the state average on adult smoking, obesity, excessive drinking and sexually transmitted diseases. 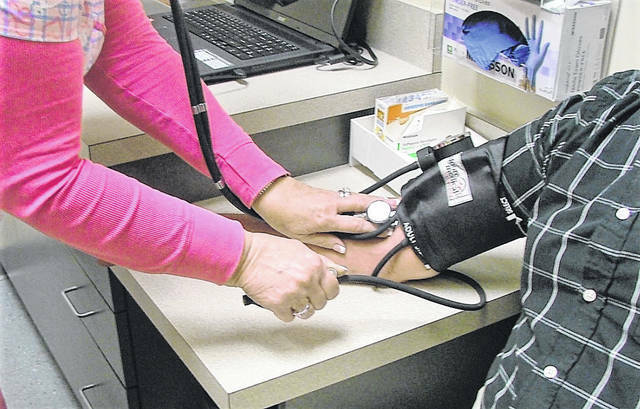 ● Clinical Care, or lack of, hit Highland County hard, placing it at 81st statewide. The number of doctors, dentists and mental health providers serving the population lagged behind the state average, and the county was also behind in mammography screenings and flu and disease vaccinations. ● Social and Economic Factors placed the county at 73rd, and while Highland County enjoyed a 92 percent high school graduation rate, it was below the state average for students going on to college, had a higher unemployment rate and had more children living in poverty. On a positive note, the survey revealed a lower number of deaths from violent crime when compared with the state average. ● Physical Environment was the other of the two bright spots in the report with Highland County achieving a rank of 39th statewide, mainly due to its country setting away from urban air pollution and no drinking water violations. Its rural location contributed to the one black mark in this part of the report, that being the higher-than-average number of people who make a long commute to work. Warner said Highland County, and all of the counties of Appalachia in general, need to improve on preventative health care such as mammogram screenings, increasing the number of health care providers so that residents aren’t forced to travel long distances to major cities to see a specialist, and to change the cultural acceptance of unhealthy behaviors like tobacco usage and obesity, two things that can cause longterm health issues in both children and adults. The nationwide rankings from the Robert Wood Johnson Foundation are available online at www.countyhealthrankings.org.